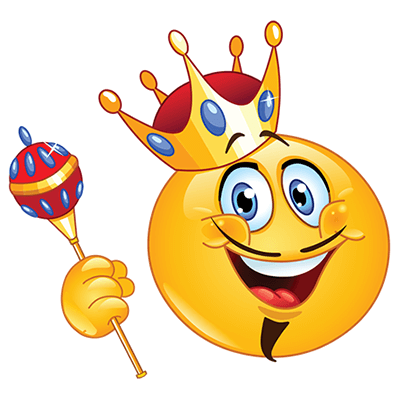 It's good to be king even if your domain is just your own little corner of Facebook! If you're feeling regal, this smiley is designed with the royal treatment. Post it in a chat message when you're chatting it up with the queen or share it on your FB timeline. These emoticons are a blast as you'll see once you begin to use them.